This is the Cold Caller list for the month of April 2014. We found activity in 102 companies of which 30 companies were new ones. That is a lot of new companies! What we have noticed is that a lot of registered companies are trying to get around the “cold caller” effect. Companies are cold calling consumers, and make them an offer for a resale of claim or any other service related to their timeshare. When the consumer shows interest in taking up the service they are passed to a different company. Dubious Timeshare resale companies are also trying to avoid refund claims. The way they are doing this is by taking the actual (illegal) upfront fee through a third party service provider. Once the consumer realizes there is no resale at all and wants to claim a refund under the consumer act, they are informed by the bank that there is a breach in the Debtor – Creditor link. Unless the consumer can proof the link between the resale company and the company that took the money, there won’t be any refund. 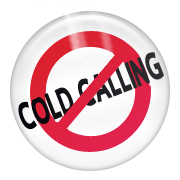 All we can say and insist on is that you should be very careful when dealing with cold calling companies. Ask them where they got your details from, and if they refer to you resort or exchange company, do check this out! As always, these lists and the warnings on our blog, wouldn’t be possible without the collaboration of all consumers who kindly advise us about the cold calls received and provide us with very useful information. Information that helps other consumers to refrain from falling into the traps of dubious companies. So we would like to thank everybody for their help as this is very much appreciated! Whatever company contacts you, if it is a cold call and the offer sounds too good to be true, always double check with us! This entry was posted in Bogus Holiday Clubs, Bogus resale companies, Canary Islands, Costa del Sol, Legal Services, Mediation services, Tips & Advice, Warnings and tagged bogus resale, cold caller, Fake court claim, Fake Lawyer, Fake notary, Mindtimeshare, registered companies, timeshare, timeshare directive, Timeshare resale companies, timesharing, Upfront Fees. Bookmark the permalink.